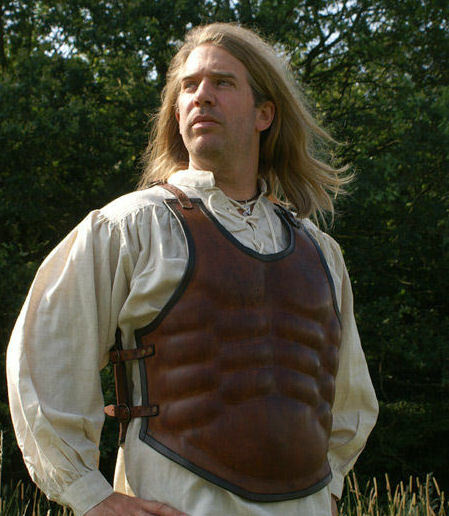 Leather Muscle breastplate, brown. 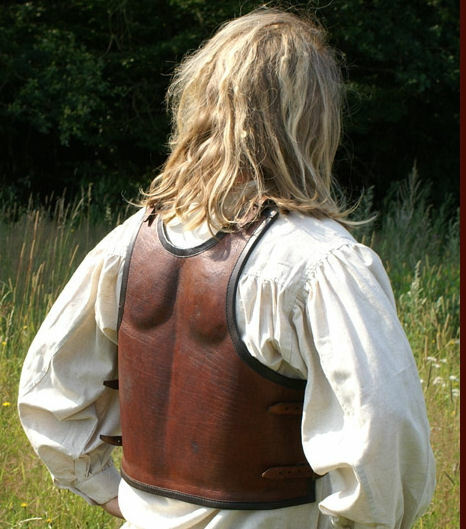 This wearable breast plate is made from robust cowhide leather. 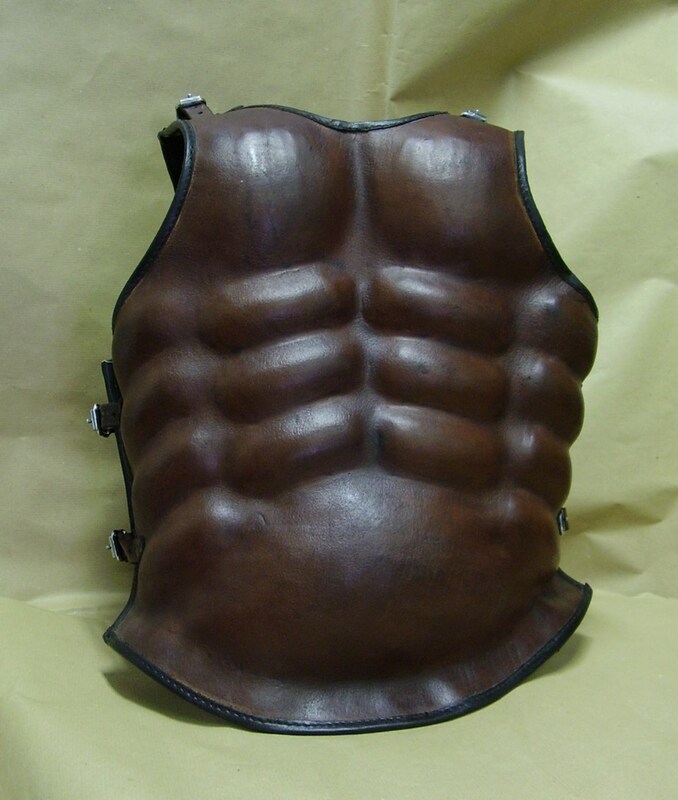 This type of armour was worn in antiquity by Greeks and Romans. 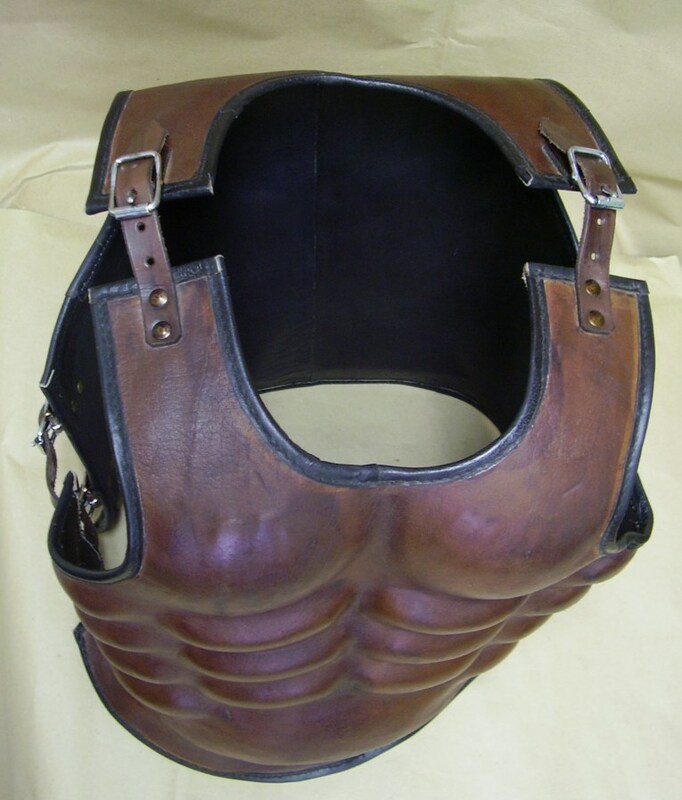 Delivery inclused breast and back plates adorned with 6 leather straps with buckles for size adjustment. 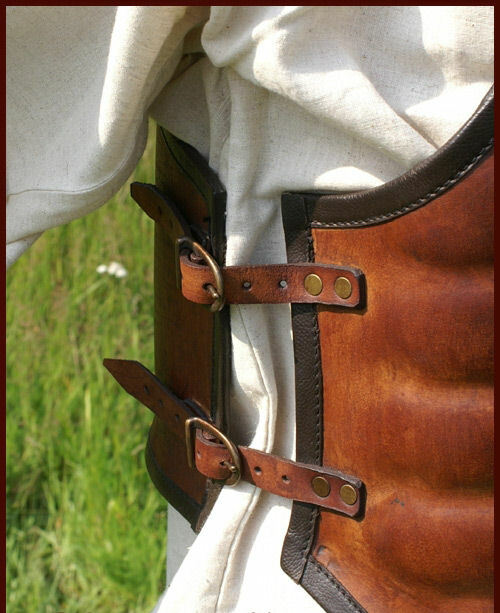 The leather has double seams at the edges. 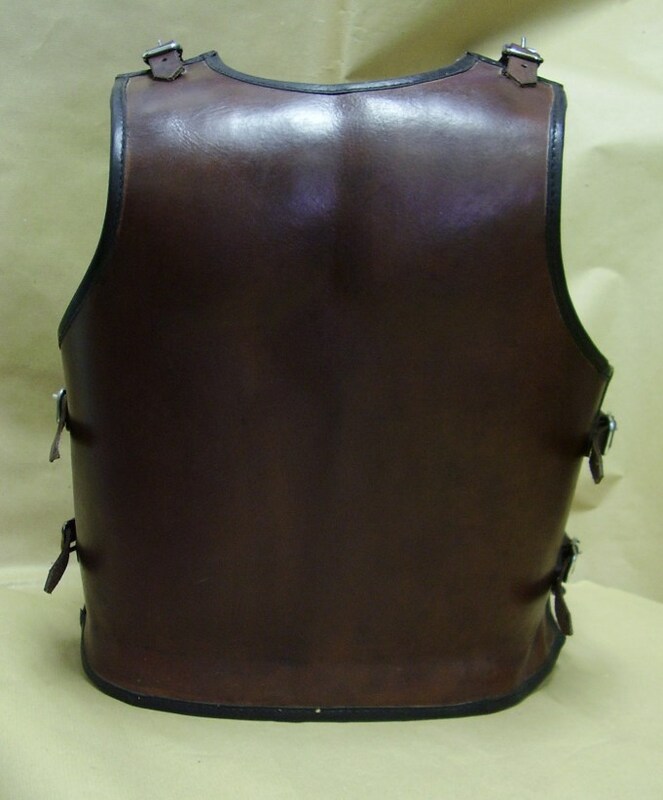 Size: adjustable with leather straps.